Optimal Forskohlii™ is a proprietary blend of Coleus Foskohlii whole root powder & Root Extract (standardized to 10% forskohlin). 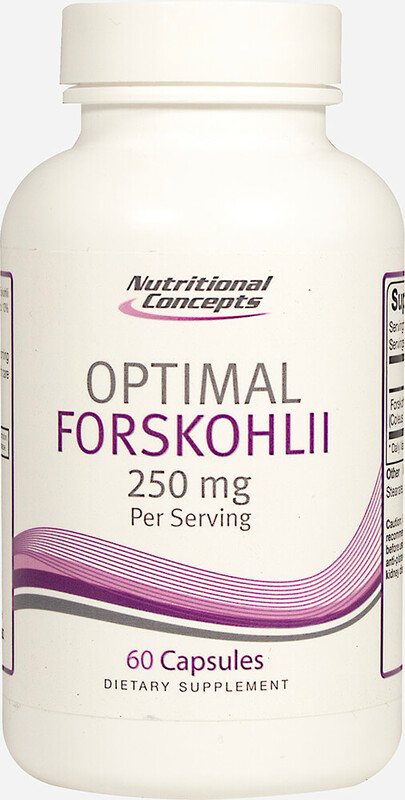 Contains 250 mg of Optimal Forskohlii™ per serving. Guaranteed Free of: Milk, egg, fish, shellfish, peanuts, tree nuts, wheat, soy, gluten, preservatives. Artificial color, flavor or sweetener.